and credit cards in order to pay. Photo By Erin B. Taylor. Or so it would seem. 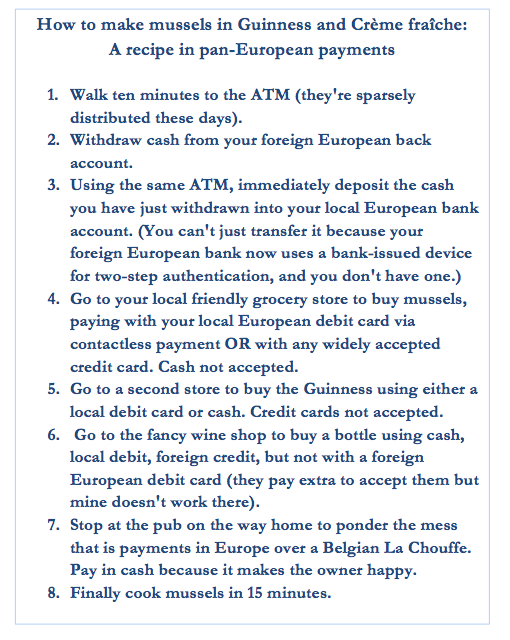 In fact, as many travelers can attest, it is still possible to run out of ways to pay. The unsuspecting traveller may encounter inconveniences not only when trying to pay in the odd kiosk, restaurant, or shop, but also when simply trying to get from A to B. 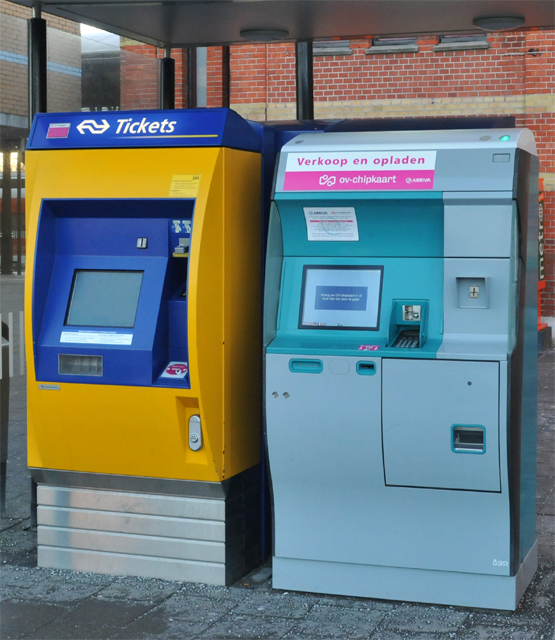 In the Netherlands, an unusually cash-averse society, some parking meters and train ticket machines only accept Dutch cards, and many a traveller has been caught out trying to return to the airport but unable to pay for the fare. Even the simple act of making a meal can involve a complicated series of transactions (see text box at the end of this post, "A Recipe in pan European Payments"). However, there are also barriers to integration at the level of the firm and the consumer market interactions, and our understanding of these is threadbare. Some of these relate to market structures, such as pricing. For example, in some European countries, credit cards are not widely accepted because merchants consider the cost to be prohibitive. Other barriers have socio-cultural leanings, such as consumers’ preference for local services, which dissuades them from shopping around the EU, or a preference for using cash in Germany. And so a cultural-economic feedback loop is created. 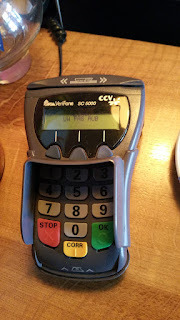 being replaced by other POS devices. Photo By Erin B. Taylor. The globalization of payments and other financial services is also creating an imperative to figure out what happens when money cultures meet. Given that so many consumer finance products and services are now available over the Internet, consumers are no longer limited to what is available in their home town or country. Today, we can research and buy an increasingly wide range of savings, transfer, investment, credit, and money management services from anywhere around the world. Let’s stop for a moment to consider the irony here. 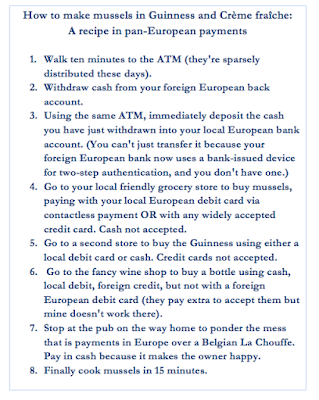 A resident of one European country cannot use their bank card in a second European country, even though there is a single currency and theoretically an integrated payments system. But that same person can buy travel insurance from the U.S.A., invest money in a fund in India, exchange currency using a mobile app based in the United Kingdom, and trade cryptocurrency based in—well, anywhere really. 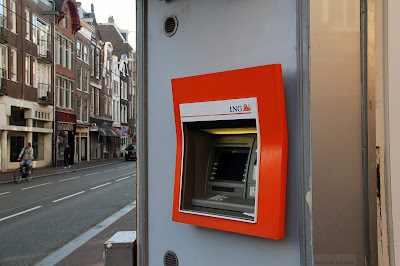 A Dutch ATM, fast becoming a rare commodity. Our challenge is not to get everyone using exactly the same tools, but to create a global ecosystem in which multiple tools and avenues are accepted. To do this, we need to first understand the market. This means we need to design research that investigates how a variety of factors–cultural, economic, regulatory, technical–shape market practices. This holds even if we are trying to specifically understand consumer behaviour. While little can be done to predict how regulations will change, it is certainly possible to improve our understanding of changing consumer behaviour and thereby generate more robust market knowledge. As we discuss in the Consumer Finance Research Methods Toolkit (CFRM Toolkit), researchers from both industry and academia are innovating new ways to record and analyze the financial behaviours of individuals and households.